-52*92cm; Tank Capacity: 32L; Net Weight: 80 kg. Our range of Floor Scrubber/ Dryer are designed for providing cleaning solution dispensed on floor and Round brush for floor scrubbing. These pick up the dirty water immediately and collect it in another tank by vacuum action. 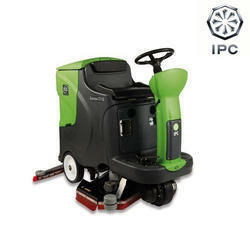 We offer an exclusive range of automatic walk behind scrubbers catering to various industries. Our range is known for excellent quality, reliability and optimum performance. These can be availed at industry leading prices. We are offering a wide range of Small Size Rider Scrubber. Our range is very durable and is designed with modern technology to ensure superb cleaning to various application areas.